Although I’ve been quite busy with life, I’ve been trying to keep up with my daily reading so as to keep up with all the good and the bad teachings within the Church. This time I’m posting links to a few edifying articles and then the rest are links to items pointing out the need for discernment. The Gospel of Mark and the deity of Christ. Who is the fool who denies God? The Greek word kephale and marriage. Damning doctrines of the Orthodox Church. Should we apologize to the Eastern Orthodox Community? The myth of the good Freemason. Watch out for broken wolves. More proof of the apostate and heretical condition of the Catholic church. The 100th anniversary of demonic visions at Fatima is celebrated by Rome. Just another example of why Roman Catholicism is NOT true Christianity. 25 reasons why Peter wasn’t the first pope. A lot of mighty weird things going on with the Southern Baptist Convention; the apostasy just keeps building. When you redefine what a missionary is, false teaching results. That’s what Adventures in Missions has done. Should We Sing That Song? Rather than waiting for a collection of links for posting, I thought this would be perfect as a separate post! Too many Christians abuse the Scripture about using the “rod” to discipline, either claiming that the culture of the Bible was different and we don’t use the “rod” now, or else they determine that the use of the rod must be severe. Proper discernment should lead one to see that both extremes are wrong. I’ve put together some Bible passages to contemplate, as well as some supplemental thoughts. There is a distinction between training (discipline) and teaching. Many teach their children the way they should go, but are neglecting to train them in the way they should go. A child can be trained to respond to his parents in willing obedience and trust. The dictionary gives the meaning of the word train: "to mold the character, instruct by exercise, drill, to make obedient to orders, to put or point in an exact direction, to prepare for a contest." This is what God wants us to do with our children. Foolishness is firmly attached to a child's heart. Spanking will remove it far from him. Prov. 22:15 GWN. Whoever refuses to spank his son hates him, but whoever loves his son disciplines him from early on. Prov. 13:24 GWN. The use of the “rod” (spanking, paddle, etc) is not to be in anger or abusively, rather it is loving discipline for correcting errors. While some people/cults (e.g. Mike and Debi Pearl) teach the physical “rod” for just about any infraction, our family used other disciplinary measures unless the infraction was very serious — and then the “rod” (we spanked with open hand) was to help them thoroughly understand the serious nature of what they did! Finally, God disciplines us as His children. As he tells us in Hebrews 12:5-11, children who are not disciplined are illegitimate and not true sons. Jehovah’s Witnesses and their false teaching about Enoch. John’s Gospel was last one, but it was not written late. Reclaiming Patrick for Protestants. He was also a defender of human rights. Some help for addressing supposed contradictions in the Bible. 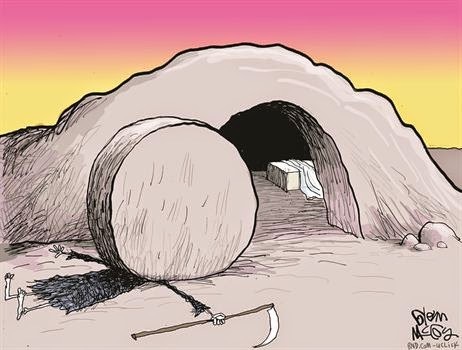 Where was Jesus between His death and resurrection? Another thought about it. Do discoveries of new planets validate E.G. White’s “visions”? NO! Kari Jobe, one of the worst “worship artists,” spreads aberrant and heretical theology. Here’s another periodic reminder of the dangers of Adventures in Missions and The World Race — lots of connections to the New Apostolic Reformation. For those who refuse to accept that Jesse Duplantis is a horrid false teacher, you need to review this article. Abused Scripture — 2 Corinthians 8:9. Jehovah’s Witnesses don’t believe in the resurrection as taught in Scripture. What is an apostle? This article dispels the myth of the modern NAR apostle — and any other claim to be apostles. A dangerous cult you should know about is the World Mission Society Church of God. The Episcopal Church has an idolatrous love affair with God-condemned sexual perversion. The denomination is totally apostate — and has been for decades. 10 Signs of a Cultic Church. Has God forbidden us from criticizing church leaders? Absolutely not. Wanted: A Sunday School Teacher from Hell. Sought by the totally apostate United Church of Christ. Of course this “church” worships a different God and Christ than those of the Bible! The King James Version Bible and Easter. A resource for addressing Freemasonry in your assembly. The pastor of the assembly we left a couple years ago is showing less and less discernment; this past week he praised Chris Tomlin’s song, Good, Good Father. This article demonstrates the deep problems with this song. People, use discernment with everything you hear and read, and if your church leaders are not using discernment, bring things to their attention. You never know that you might be the one to make them think! 2 John 10 has been often used to say that we should not allow Jehovah’s Witnesses or Mormons into our homes to have discussions with them. But is the proper use of this passage? Holman Bible Dictionary: The recipient of John's second letter sometimes understood to be an individual but the phrase probably is a way of referring to a local church congregation. The members of the church would then be the "children" who are mentioned in the same verse. The "elect sister" of verse 13 would be another congregation whose members were sending greeting. The Oxford Study Bible (REB): The community addressed is called the Lady, which in Gk. is the feminine equivalent of "Lord." The title may be related to the familiar imagery of the church as the "bride of Christ" (see 2 Cor. 11.2; Eph. 5.26-27; Rev. 19.7). The phrase chosen by God (used here of the church) indicates Jesus in Jn. 1.34. Ryrie Study Bible (NAS): The destination of this second letter is enigmatic. Some believe that the "chosen lady" is a figurative way of designating a particular church ("chosen sister," v. 13 would then mean a different church). Others hold that the letter was addressed to an individual Christian and her family (in which case the "sister" would be her natural sister). Henry M. Morris, The Defender's Study Bible (KJV): Commentators have differed over whether the phrase "elect lady and her children" refers to an actual family or is a metaphor for a local church to which John had ministered. Though this is a matter of opinion, the over-all message to the epistle might seem more appropriate for a church than for a family. Perhaps it could apply to either one, and John intentionally left it open so that it could be used for either purpose, as appropriate. The warnings and admonitions of John are important for families to heed, but even more so for churches. The closing greeting from "the children of thy elect sister" would perhaps be more appropriate as coming from a sister church, but again it could be interpreted either way. It is the message that is important. Do not encourage any who would pervert the true doctrine of Christ by allowing them to teach their anti-Christian doctrines and practices either in one's home or church. R.W. Orr, The Letters of John, The International Bible Commentary: Unto your house on our interpretation of "the elect lady" will mean "into church fellowship". Commentators have been embarrassed by the apparent churlishness of this verse in forbidding the common courtesy of hospitality to heretics. E.g., Plummer: "The greatest care will be necessary before we can venture to act upon the injunction here given to the Elect Lady." C.H. Dodd simply declines to heed the injunction. If however we understand church fellowship to be the matter in question, the difficulty disappears: the welcome will signify church approval or commendation. Halley's Bible Handbook: False Teachers, 7-11: These already had been referred to in 1 John 2:18-29: going from Church to Church, Teaching, in the Name of Christ, Doctrines that were utterly subversive of the Christian Faith. This Letter seems to have been written to caution the Elect Lady to be on her guard, and refuse Hospitality to such Teachers. The warning is prefaced with an exhortation to Love (5, 6), as if to indicate that the Practice of Christian Love does not mean that we should give encouragement to Enemies of the Truth. The passage in 2 John is not talking about someone who simply comes to visit. 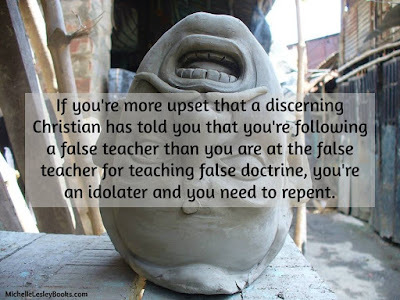 Rather, John is talking about false teachers who are deceivers (v.7) and who come to present their doctrines. First, John is instructing the local church, and the individuals of the local church, not to extend hospitality to these persons, because that would imply that the church accepted or approved of their teaching. The people of the local church were directed not even to give a Christian greeting to them, lest this be misconstrued as an attitude of tolerance of their false doctrines.... By clearly demonstrating an intolerance for false doctrine, it would be possible to communicate to false teachers that they needed to repent. On the contrary, if the church or individual were to extend hospitality to a false teacher, he would be encouraged in his position and take this action as an acceptance of his doctrine, or as a covering of his unrighteousness. Second, it must be remembered that, in the early church, the evangelistic and pastoral ministry of the church was conducted primarily by individuals who traveled from location to location. These itinerant pastors depended on the hospitality of the people of a local congregation. John is directing the church not to extend this kind of hospitality to teachers of false doctrine. Ryrie Study Bible (NAS) 10. do not receive him into your house. I.e., do not give a false teacher hospitality. Henry M. Morris The Defender's Study Bible (KJV): 10. your house. The "house" is the church, probably then meeting in a house. No false teacher is to be allowed to teach in the church. During the first two centuries the gospel was taken from place to place by traveling evangelists and teachers. Believers customarily took these missionaries into their homes and gave them provisions for their journey when they left. Since Gnostic teachers also relied on this practice, 2 John was written to urge discernment in supporting traveling teachers; otherwise, someone might unintentionally contribute to the propagation of heresy rather than truth. 10. take him into your house. A reference to the housing and feeding of traveling teachers. The instruction does not prohibit greeting or even inviting a person into one's home for conversation. John was warning against providing food and shelter, since this would be an investment in the "wicked work" of false teachers and would give public approval (see v.11). It appears to be inconclusive whether the epistle was written to a specific lady or to a church, but my feeling is that it was probably a church body. This would change the complexion of the argument somewhat, but not much. My understanding is that you are not to invite people into your congregation or home with the intent of letting them teach false doctrine. For example, when I have opened my door to them, I never once let it appear that Jehovah's Witnesses would have the opportunity to present their doctrine. I brought them into my home for the sole purpose of them learning my doctrine; it was made clear to them that I would not accept their false teaching, and I emphasized that I could disprove their prophets and teaching. I also emphasized the teaching of the Trinity. As for providing hospitality, I don't believe inviting them to sit down is giving hospitality (what if we sat on the porch and not in the "house"? ), especially in light of the context of the Scripture, wherein the idea was providing the itinerant heretic sustenance and a place to stay. I certainly didn't send them off with any greeting. At any rate, I really don't think the context of this passage applies to bringing false teachers into your home for the purpose of evangelism, especially since they are not permitted to teach their false doctrine. My wife pointed out an example wherein this passage could cause a problem if this was to mean not allowing any false teacher into your house or providing hospitality; her father was a staunch secular humanist/evolutionist and advocate of higher criticism/form criticism interpretations of the Scriptures. He was brought into our home, and even stayed a few nights, all the while teaching his theology and explaining how ignorant we were to believe the Bible as the Word of God. Here is a clear case of inviting a heretic into our home and even allowing him to present his doctrine. We of course preached the gospel message and made much use of apologetics in our discussions with him, all to no avail. Were we to turn her own father away at the door due to disagreement on theology? Of course not. That is an example of why I don't think the passage applies to these situations. Therefore, I believe the intent of the passage is that you are not to invite people into your congregation or home with the intent of letting them teach false doctrine, or allowing them to share in the Remembrance celebration. You are not to provide them food and shelter, which would aid them in propagating their message. While Roman Catholics claim that the Lord’s Supper (Eucharist) is a sacrifice of Christ, with the elements actually turning into Jesus’ blood and body, those who follow what the Bible says understand that it is really a memorial with symbols reflecting the reality of the work of Christ in His one-time sacrifice for sin. One passage in regards to “communion” is 1 Corinthians 11:28, which often raises questions as to its meaning, and that is the reason for this post, which is based on a study I did back in 2001 for a class. What is the purpose of the Lord's Supper (otherwise known as Communion, the Lord's Table, Eucharist [thanksgiving] etc)? For what must a man examine himself? In order to answer the second question, we must know its context in relation to first question. To determine the purpose of the Lord's Supper we merely have to see what Jesus said about it. In Luke 22:19 Jesus says to "do this in remembrance of me." Paul repeats this in 1 Cor. 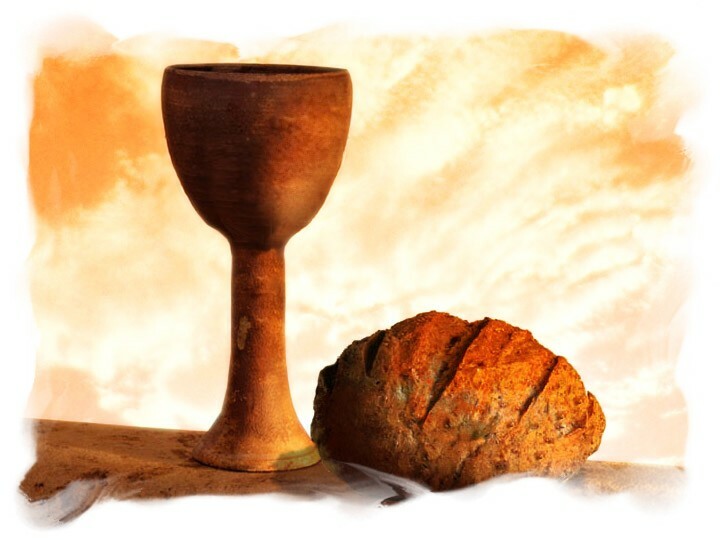 11:23-26, and adds that "whenever you eat this bread and drink this cup, you proclaim the Lord's death until he comes." In 1 Cor. 10:16-17 we have another aspect of the purpose and that is communion ("participation") in Christ's body and blood. Worship is distinct. It is primarily focused on God. The pattern of the Psalms establishes this concept. In the descriptive psalms of praise in the Psalter the attributes and character of God are the focus of praise. In the declarative psalms of praise His great deeds in creation and history inspire praise from His people. The person and work of God are the single focus of worship. Praise comes from contemplating Him and what He has done. In the New Testament worship finds its particular focus on the person and work of Christ. The direction of worship is godward. It focuses on God, not the worshipper. Glock continues further: The purpose of the worship meeting is unique. It is the hour of collective contemplation of God. Saint stimulates saints to higher and greater thoughts of God. This, then, is the purpose: a time of praise and worship directed at God in remembrance of Christ's work, communion with him, and proclaiming his death until he comes. King James Version: For he that eateth and drinketh unworthily, eateth and drinketh damnation to himself, not discerning the Lord's body. English Standard Version: For anyone who eats and drinks without discerning the body eats and drinks judgment on himself. New American Standard: For he who eats and drinks, eats and drinks judgement to himself if he does not judge the body rightly. Revised English Bible: For he who eats and drinks eats and drinks judgement on himself if he does not discern the body. Greek Interlinear: For the [one] eating and drinking judgement to himself eats and drinks not discerning the body. J.N. Darby: For [the] eater and drinker eats and drinks judgement to himself, not distinguishing the body. New King James Version: For he who eats and drinks in an unworthy manner eats and drinks judgment to himself, not discerning the body. Holman Christian Standard Bible: For whoever eats and drinks without recognizing the body, eats and drinks judgment on himself. New International Version: For anyone who eats and drinks without recognizing the body of the Lord eats and drinks judgement on himself. New English Translation: For the one who eats and drinks without careful regard for the body, eats and drinks judgment against himself. Amplified Version: For anyone who eats and drinks without discriminating and recognizing with due appreciation that [it is Christ's] body, eats and drinks a sentence - a verdict of judgement - upon himself. God Word To The Nations: Anyone who eats and drinks is eating and drinking a judgement against himself when he doesn't recognize the Lord's body. Jewish New Testament: For a person who eats and drinks without recognizing the body eats and drinks judgement upon himself. New American Bible (also RSV): For anyone who eats and drinks without discerning the body eats and drinks judgement on himself. New Living Translation: For if you eat the bread or drink the cup unworthily, not honoring the body of Christ, you are eating and drinking God's judgement upon yourself. An American Translation (W.F. Beck): Anyone who eats and drinks without seeing that the body is there is condemned for his eating and drinking. William Barclay: For he who eats and drinks as some of you do, eats and drinks judgment to himself, because he does not discern what the body means. Today's English Version: For if he does not recognize the meaning of the Lord's body when he eats the bread and drinks from the cup, he brings judgement on himself when he eats and drinks. Contemporary English Version: If you fail to understand that you are the body of the Lord, you will condemn yourselves by the way you eat and drink. First, remember our answer to the question as to purpose of the Lord's Supper. Then look at 11:17-22 where Paul is chastising them for their improper use of the Lord's Supper. It is within this context that Paul tells them that a man should examine himself before partaking. Does he discern what the Lord's Supper is about? If he does not, he is taking it unworthily. So, then, the body he is talking about is obviously the body of Christ, as the sense is given in the remaining translations. It may be enlightening to see what the early church taught on this subject. Here it appears that they considered a person unworthy if they were not baptized as a member of the Church, which would mean they must understand what the service was about. This would correlate well with the idea of self-examination to be able to recognize the significance of the service. Another question relative to this is what is meant by the body of Christ? Many commentators have their own ideas here, and may shed light on this passage, but sometimes the particular doctrinal bent of the writer comes through. They often do not agree with each other, so that is why we use them only for reference, while the Bible is our final authority. In the notes to the Catholic New American Bible, we find the following: 11.28: Examine himself: the Greek word is similar to that for "approved" in v.19, which means "having been tested and found true." The self-testing required for proper eating involves discerning the body (29), which, from the context, must mean understanding the sense of Jesus' death (26), perceiving the imperative to unity that follows from the fact that Jesus gives himself to all and requires us to repeat his sacrifice in the same spirit (18-25). As you can see, they understand that it not examining oneself for unconfessed sin, etc. They see the "body" in context as that of Christ’s. The NIV Study Bible: 11:28 examine himself. A person should test the attitude of his own heart and actions and his awareness of the significance of the Supper, thus making the Supper, under God, a spiritual means of grace. 11:29 without recognizing the body of the Lord. The word "body" may refer to either the Lord's physical body or the church as the body of Christ (see 12:13,27). The first view means that the person partakes of the Lord's Supper without recognizing that it symbolizes Christ's crucified body. But in that case, why is the blood not mentioned? The second view means that the participant is not aware of the nature of the church as the body of Christ, resulting in the self-centered actions of vv. 20-21. Again, although there are two views of what "the body" means, the commentator makes it plain that we are not examining ourselves for our sins, but rather whether we recognize what the Lord's Supper represents. Henry's commentary is almost 300 years old, so at least it shows what the teaching was in his day. The International Bible Commentary, with Paul W. Marsh as the author of the commentary on 1 Corinthians: 28. examine: i.e., let a man test himself. It calls for a minute scrutiny of the heart and motives to ascertain one's moral and spiritual condition before partaking. 29. without recognizing the body. the body is held by some commentators to refer to the church (see also Moffat and NEB). Others understand it in terms of the Lord's Supper as in v.27. Both interpretations make good sense. of the Lord, added in NIV, is not the Greek text. diakrinein (to discern or recognize) is rendered judged rightly, in v.31. It seems to carry this basic idea in v.29. One who judges rightly will distinguish, discriminate. Therefore, depending on the significance given to the body, one who participates without due self-examination does not distinguish between the Lord's Supper (the body) and an ordinary meal, or alternatively, does not discern the true character of the Body, the Church. Again, the commentator does not see self-examination as including confessing sins, etc. Finally, William Barclay's commentary: This passage goes on to talk about eating and drinking this bread and wine unworthily. The unworthiness consisted in the fact the man who did so did "not discern the Lord's body." That phrase can equally mean two things; and each is so real and so important that it is quite likely that both are intended. (i) It may mean that the man who eats and drinks unworthily does not realize what the sacred symbols mean that he eats and drinks with no reverence and no sense of the love that these symbols stand for or the obligation that is laid upon him. (ii) It may also mean this. The phrase the body of Christ again and again stands for the Church; it does so, as we shall see, in Chapter 12. Paul has just been rebuking those who with their divisions and their class distinctions divide the church; so this may mean that he eats and drinks unworthily who has never realized that the whole Church is the body of Christ but is at variance with his brother. Every man in whose heart there is hatred, bitterness, contempt against his brother, as he comes to the Table of our Lord, eats and drinks unworthily. So then to eat and drink unworthily is to do so while we are at variance with the brother for whom also Christ died. Although Barclay has a good understanding of what the passage says, he does add that examining self for sins, etc., may be included. The plain reading of the text, and the many evidences from early Christian teaching and reputable commentators, teach that the self-examination is indeed whether one recognizes the purpose of the Lord's Supper and all the doctrine behind it, including the proclaiming of the Lord's death. The purpose of the Lord's Supper is to remember Him and His work, and to proclaim his death. It is a memorial to Jesus and the focus is then directed at Him, with worship and praise to God the Father for the work of Christ. It is not a time of self-reflection. The focus is heaven-ward, not inward. Should we examine ourselves for unconfessed sin and wrong-doing towards others? Most definitely, and this should be done on a continuous basis. William McDonald's commentary states: We should realize that the Lord's body was given in order that our sin might be put away. If we go on living in sin, while at the same time partaking of the Lord's Supper, we are living a lie. In Matthew 5:23,24 Jesus tells us, "It you are offering your gift at the altar and there remember that your brother has something against you, leave your gift there in front of the altar. First go and be reconciled to your brother; then come and offer your gift." I think this makes a good analogy for self-examination of our sins BEFORE we even come together as an assembly for the Lord's supper, especially in light of William McDonald's comment, but this is not what 1 Cor. 11:28 is talking about in context, although the argument can be made that "recognizing" the Lord's body includes this aspect. My conclusion is that the teaching that this verse means we are to examine ourselves primarily for sin seems to be tradition and not biblically-based.